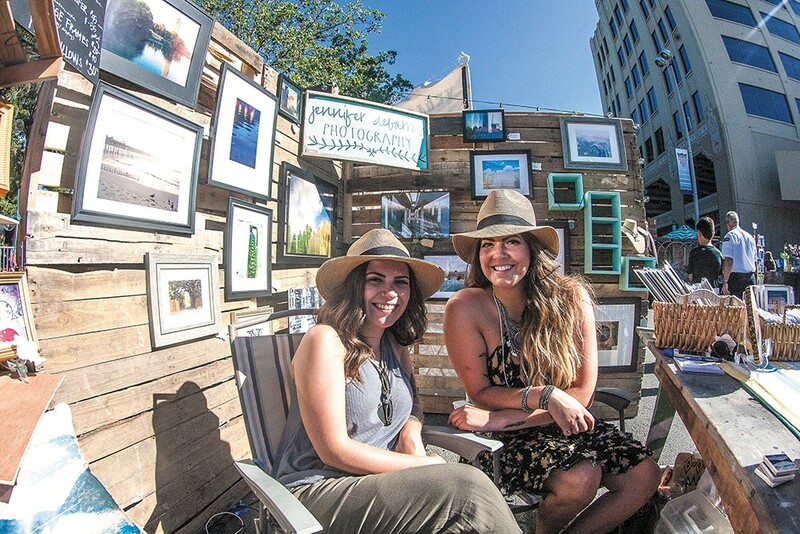 Photographer Jennifer DeBarros (right) and friend Haley Durgin showcase DeBarros's photography at Bazaar. Bazaar pulls together all those successful local artists, craftsmen and artisans who have been discovered by audiences on Etsy and Pinterest, and brings them to a friendly, open-air street market in downtown Spokane complete with music, food and a beer garden. Shop more than 80 booths featuring original paintings, sculpture, prints, photography, pottery, soaps and fragrances. The selection of vendors is well-curated, and most items sell for under $100. Bazaar is presented by Terrain, a local nonprofit dedicated to supporting local artists and culture creators.